Custom brick 3 bed/2 bath ranch in quiet community! This beautiful home features 9 ft ceilings throughout with tray ceilings in great room and master, quartz countertops and a gas-log fireplace in the great room. Front covered porch is adorable and welcoming. Large covered back patio is accessible from HUGE master suite! Master bath features beautifully tiled walk in shower and separate jacuzzi tub. Finished 2 car garage with epoxy floor. 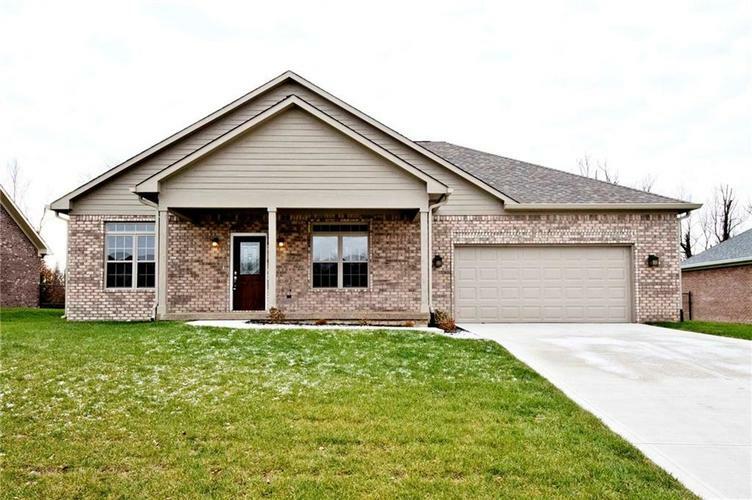 Don't miss out on this gorgeous new build priced to sell!! Directions:From State Road 144: Go south on Pennington Road. Turn left onto Country View Drive. Turn right onto Country View Place. Turn left onto Daisy Lane. House will be on right.